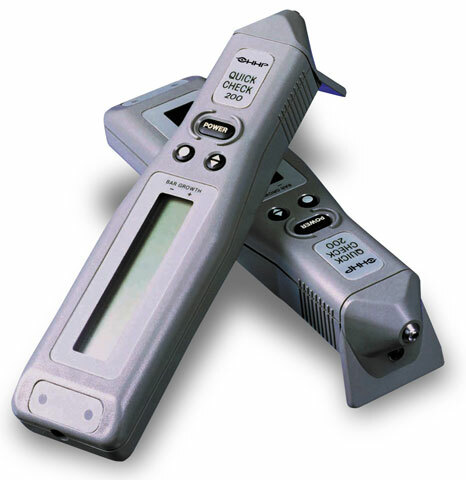 The Quick Check 200 series verifiers are compact, portable barcode verifiers that analyze barcode quality against traditional quality parameters and ANSI-CEN-ISO barcode print quality guidelines.----QC200 series verifiers are easy to use, yet packed with high performance features that utilize the most sophisticated test methods. Every model can be instantly programmed to test specific barcode specifications by simply scanning command codes or by using the easy-to-follow menu driven program that guides an operator through each step. Each model boosts productivity and is so inexpensive that you can afford to provide one to every technician involved in the barcode production and verification process. The Hand Held QC210V061 is also known as HandHeld	HHP-QC210V061	.